This is a very fine condition single shot pistol made at the Palmetto Armory in Columbia, South Carolina. This armory was founded in the early1850s by William Glaze to make and supply arms to South Carolina’s State Militia. 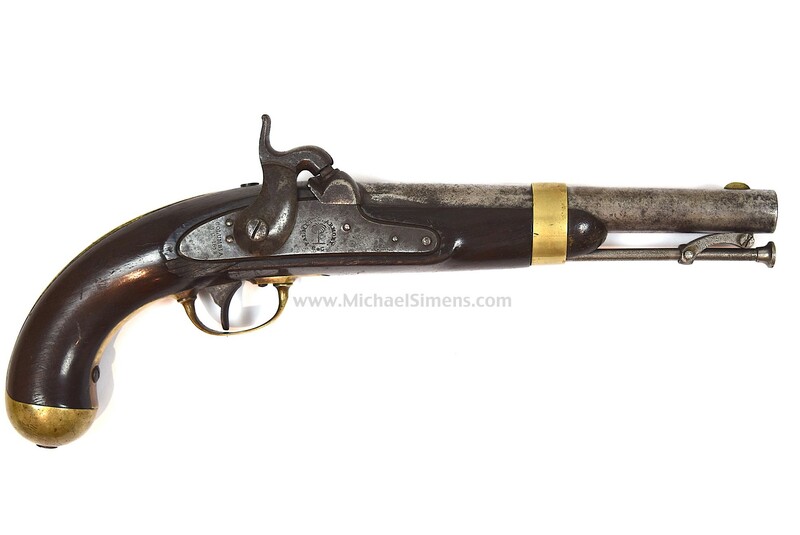 The armory produced 1,000 pistols over a two year period and the guns were to be used by South Carolina Militia along with other weapons (swords, accouterments) produced by the Armory when needed. The arms and equipments stored in the arsenal were issued to South Carolina’s troops used throughout the Civil War. 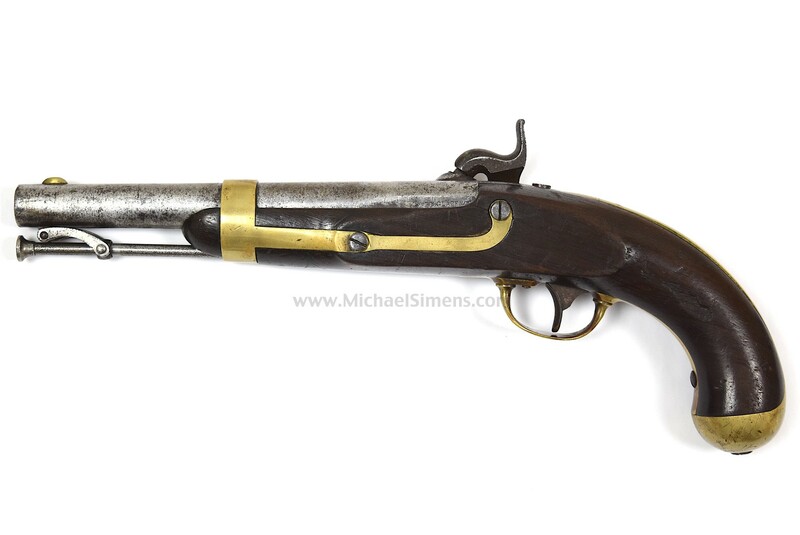 These pistols were patterned after the U.S. model 1842 pistol, having a .54 caliber smoothbore barrel stamped, " Wm Glaze & Co" on the left barrel flat. 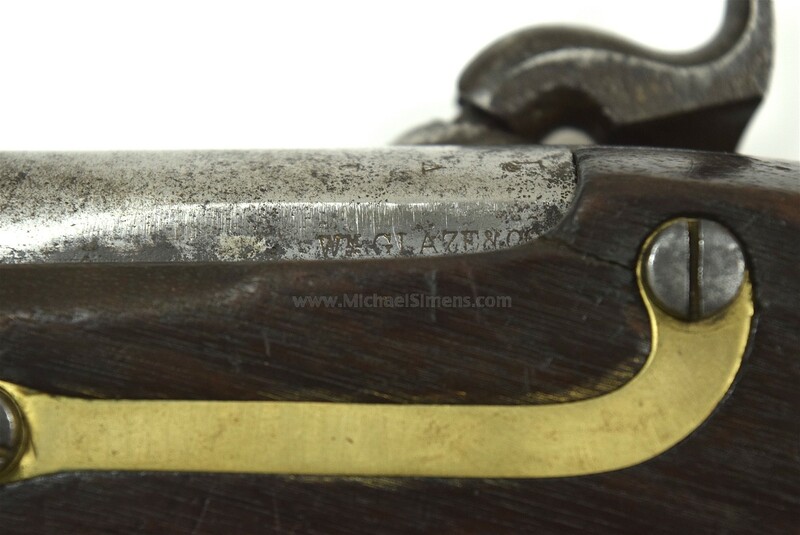 The breech is clearly stamped with a Palmetto tree and a “V”. The lock plate is stamped Columbia SC forward of the hammer and 1852 is stamped behind the hammer. This example is in very fine condition with extremely sharp and fine wood, save for a chip behind the left rear of the lock-plate. The action is sharp and crisp and the Wm. Glaze & Co, date and Palmetto Armory stamping are extremely crisp and deep. Over-all, this gun is in remarkably fine condition, as most of these saw heavy use. 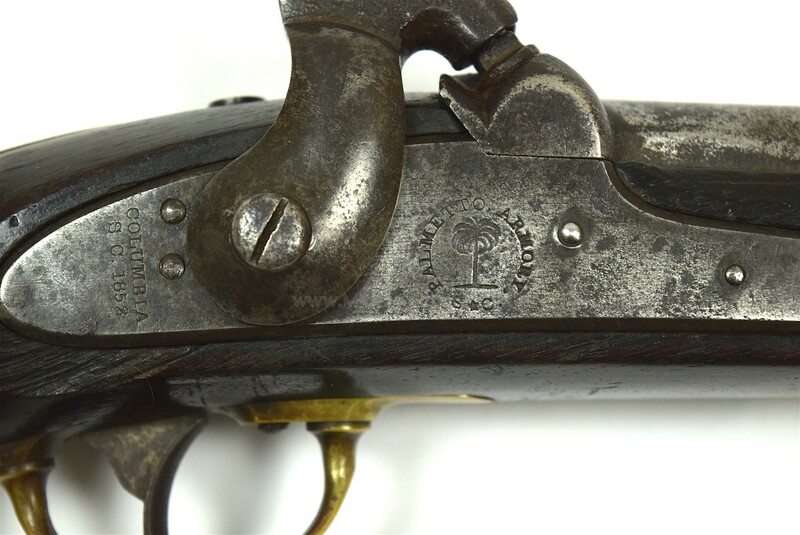 A nice candidate to add to a Confederate handgun collection at a modest price.